Hi, our names are Dr. Hammond and here at Hammond Aesthetic & General Dentistry, we have been providing excellent general dentistry care for the people of the Provo area since 1996. 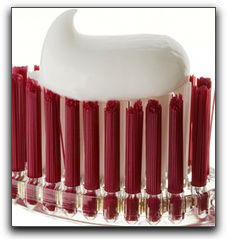 Just because a toothpaste claims to have a ‘teeth whitening‘ agent doesn’t mean it has fluoride. Provo toothpaste users have no excuse for not brushing their teeth daily with the toothpaste we have available today. If you do your part, we at Hammond Aesthetic & General Dentistry can provide cosmetic dentistry, porcelain veneers, family dentistry, and sedation dentistry. The experienced staff at Hammond Aesthetic & General Dentistry want to help make all Provo area smiles whiter and brighter. Contact us today so we can answer any questions you may have about Provo tooth whitening, invisible braces, or cosmetic dentistry.